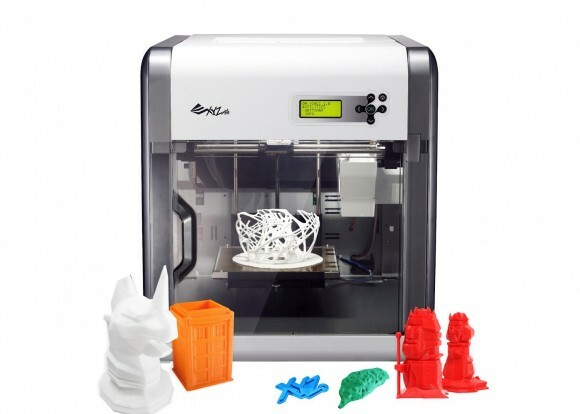 If you want to have an interesting, original and innovative present for someone this Christmas you might want to consider going for a 3D Printer – an affordable one that can offer a good start and to help see if the person gets into the technology before going any further ans pending more for a more advanced device. The most affordable 3D printers on the market are the various DIY kits that you need to assemble yourself, but that could turn out to be a bit of a challenge for most people, so if you are going with a 3D printer for a present you should chose one that is fully assembled and ready to be used. That is unless the person receiving the present is not into DIY and loves not only to play with the latest technology and gadgets, but actually loves assembling and disassembling the hardware as well to know how things are working. The Da Vinci 1.0 3D printer by XYZprinting is one interesting and affordable solution that is ready to be used that you can consider as a good gift for Christmas with a price $499 USD. Aside from the da Vinci 1.0 3D printer that has a single extruder, XYZprinting also makes a dual extruder model called da Vinci 2.0 Duo as well as a single extruder version with a built-in 3D scanning functionality – the da Vinci 1.0 AiO. The two other versions are available for a slightly higher price, but they are intended more for people that are not new, but already have some experience with 3D printing and want to get more functionality so the standard version of da Vinci 1.0 3D printer is pretty much great as a Christmas gift for a first 3D printer.